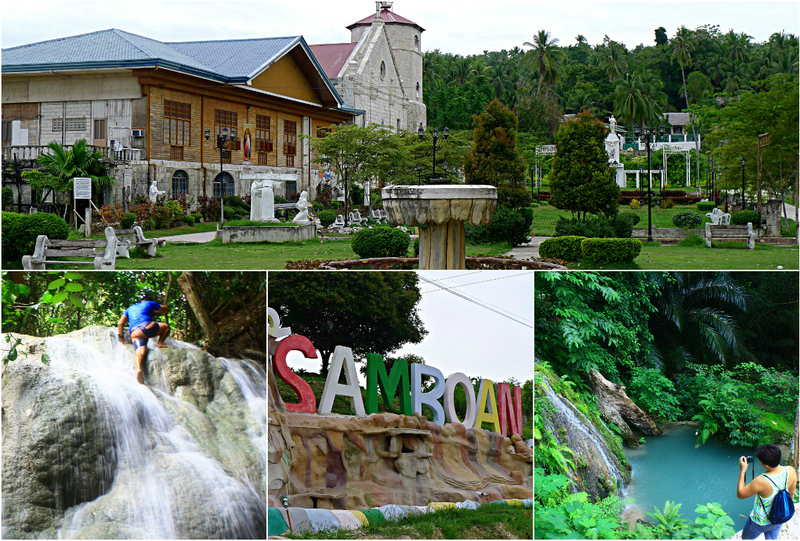 It's no wonder why Samboan is one of my favorite town in southern Cebu because it is home to some of the most beautiful waterfalls in the province. Three years ago I'm a complete stranger of what this municipality has to offer. Fast forward now I've been going back here for six times already bringing different guests with me and all of them are always astonished. 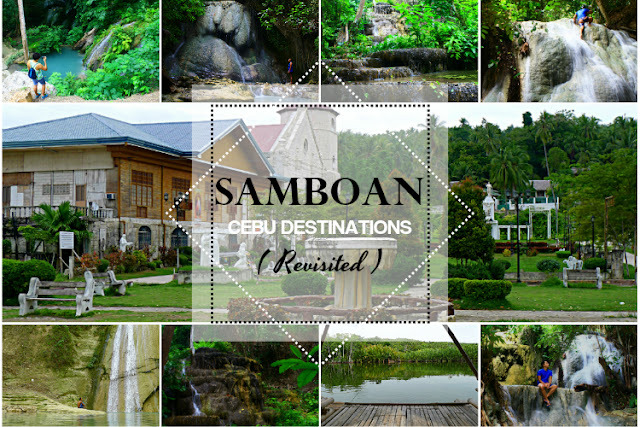 Samboan is one of my highly recommended destination in the south of Cebu because most of the attraction here are fairly easy to navigate and even the old folks can enjoy an adventure without the hassle of long distance trekking. The options for adventure offered for people in all walks of life are sufficient enough to cater to everyone's capabilities and limits. The sleepy municipality is also blessed with stunning & crystal clear beaches and historical century-old structures for those who are not fond of caves & waterfalls. Samboan are still in the process of developing their attractions to make it accessible for tourists. That is probably why in the span of months since my last visit I noticed a huge change in the town. the physical logo & tagline "Siempre Samboan" are new! This post will serve as an update of what's new in Samboan. I will cover the changes that the current attraction offers and also the newly opened activities they've recently introduced to the public. Aguinid is the most famous attraction in Samboan and expect numerous tourists here especially on weekends and holidays. 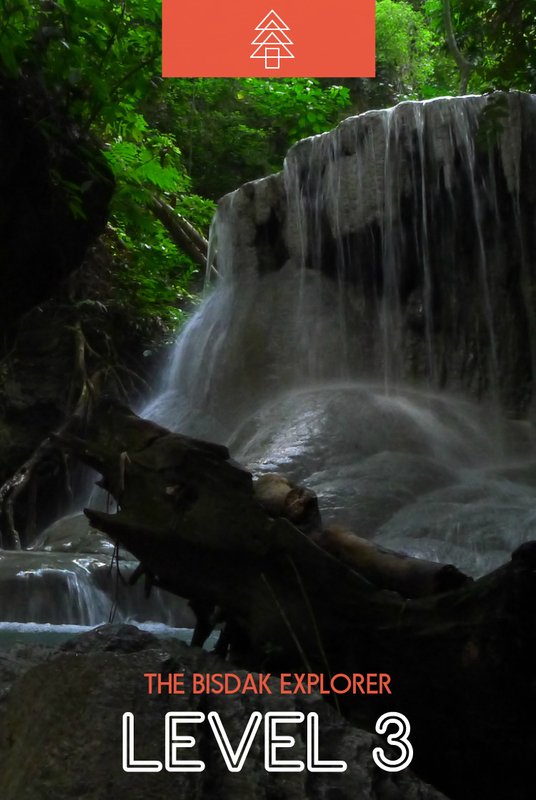 So if you want solitary time with the waterfall you should definitely come early around seven in the morning. The peak visit of tourists happens from ten in the morning onwards until it closes. Folklore says the name "Aguinid" came from man who was lost in the stream and was never found again. It was thought that he was abducted by the faeries and forest elves living in this vicinity. 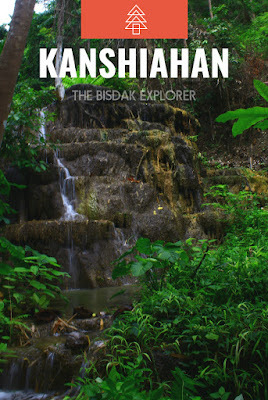 The activity made famous here is the upstream river trekking passing through five waterfalls. Each group will be given a minimum of two guides after paying the entrance fee of Php 20.00 per pax and the guide fee is your prerogative. Most of the river trail you will be passing through are modified for the safety of the guests so expect it to be somewhat synthetic but still retain the innate beauty of nature. The exhilarating part here is in Level 2 where everyone are expected to climb a waterfall to continue the adventure. There's also a six feet cliff diving opportunity in between Level 4 & Level 5 that's perfect for the newbies who wants to try it for the first time. My first time here was really unforgettable! I feel like a kid in my special playground and the scenery all throughout the trail is stunning. These two are what constantly draw me in Aguinid Falls and each experience feels new. They've added ropes now to hold unto in Level 2 ( where you climb the waterfall ) for the safety of the guests because there's a recent accident on that spot. These ropes are an eye sore in photos but I guess this is necessary for a specific group of people. 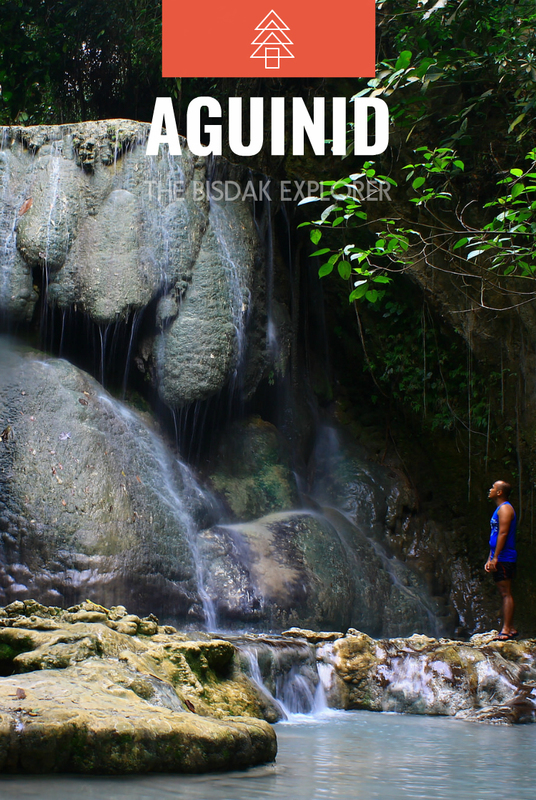 The most exciting addition in Aguinid are the new levels beyond the fifth waterfall. We literally climb Level 5 to reach Level 6, 7 & 8 and it was worth it! This is not part of the regular package they offer and the guide usually charge an extra fee if ever you decide to venture the three unfrequented levels. It's not that easy as well and not all guides are capable of assisting you to climb the extra levels of Aguinid. The triple drop plunge type waterfall that's a haven for cliff diving. This can be reached after 5-10 minutes trek from the main road. There are varying heights for cliff diving here that will surely test your cliff diving skills. 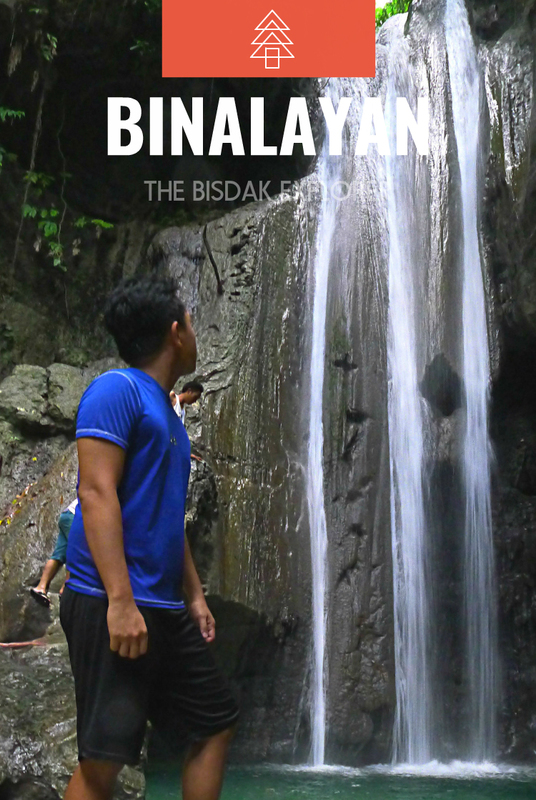 Hidden Binalayan Falls has two levels to enjoy. The basin of this waterfall used to be so deep but now when I tried diving my feet touch the riverbed. This can be dangerous for those jumping in the highest part. Eroded rocks & soils made the pool shallow. The name 'balaygsawa' means "home of the pythons" and it used to be a known mating area of the huge snakes by the locals but we didn't find a single snake the whole time we were there. 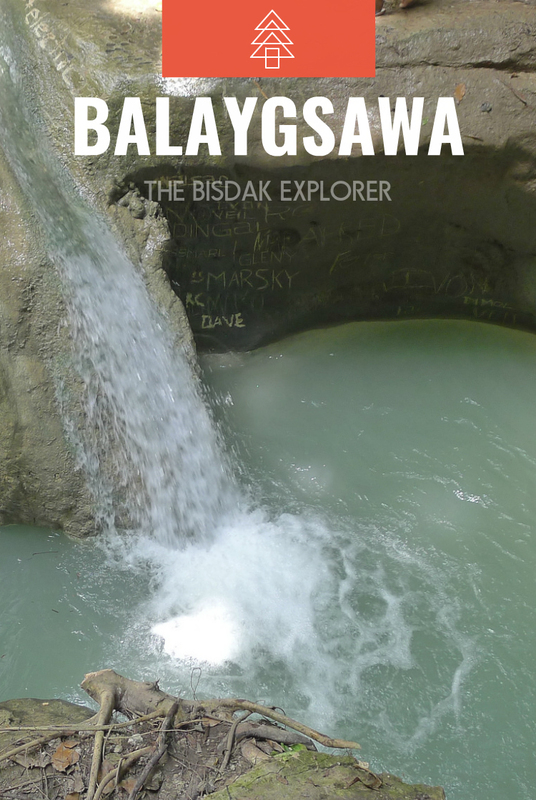 Balaygsawa Falls has three levels but the water is not as tempting as the other waterfall. Surprisingly, this is another perfect spot for cliff diving in Samboan and the local kids loves hanging out here. We tried their infamous vine diving and it was real addicting! The local government says it's off limits for swimming now because some drunkards throw their beer bottles into the waterfalls basin thus leaving sharp shards in the river bed. It would take time to remove all those broken shards and as of now they're not doing anything about it. Balaygsawa Falls is completely abandoned and I heard from our guide the trail is now thoroughly covered by vegetation. Report says some tourists are lost while searching for its location. Soon the snakes will probably reclaim this sanctuary again. 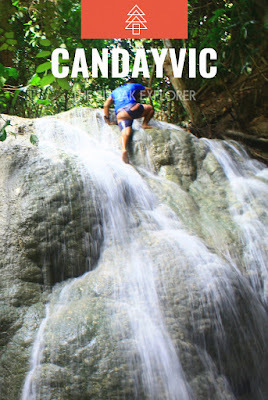 The biggest waterfall in Samboan who goes through a lot of name change. 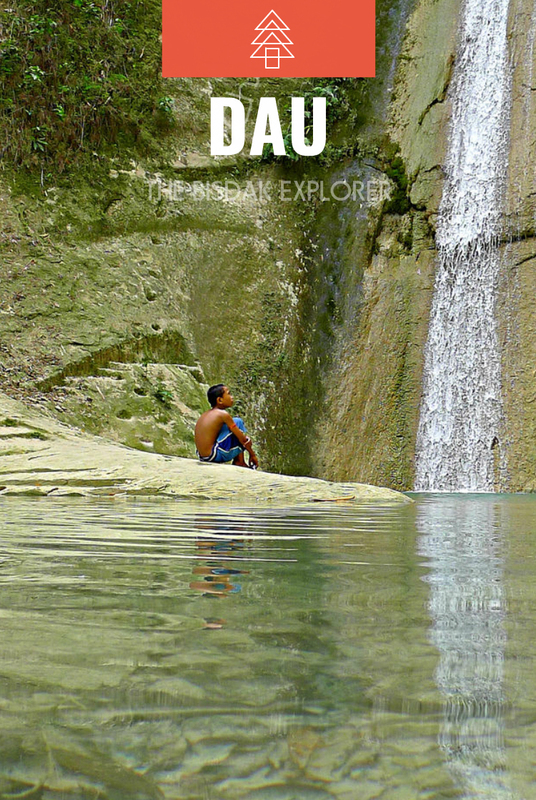 From "Da-o" to "Dao" and now officially called "Dau" by the local government. I'm not a big fan of this waterfall because I don't find the dam shape appealing but the scenic trek more than makes up for it. Dau Falls is usually close in the peak of the rainy season when the water level of the river rises and current is strong. And also they don't allow anyone in during the day after a heavy rainfall according to our guide. 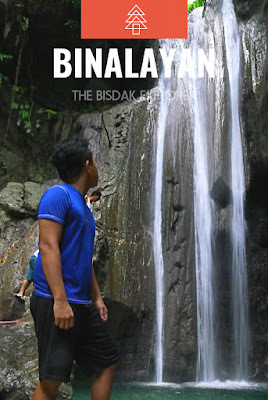 The fear of the legendary 'mantaga' prompts the local tourism to check the deepest trench of the first level of Dau Falls and found no such creature according to our guide. They also measured it has a depth of 25 meters. 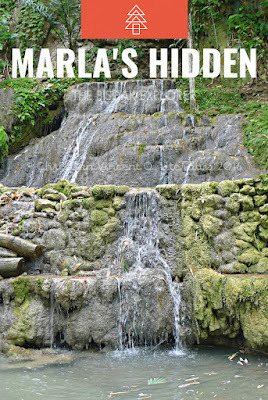 They've opened another level of the waterfall to the public and most visitors according to the guide prefers the second level more because they're pampered with that good ol' waterfall massage. They also setup a new bamboo chair in the main waterfall and removed the bamboo table. The locals also carved a cliff diving platform in the left side of Dau Falls. 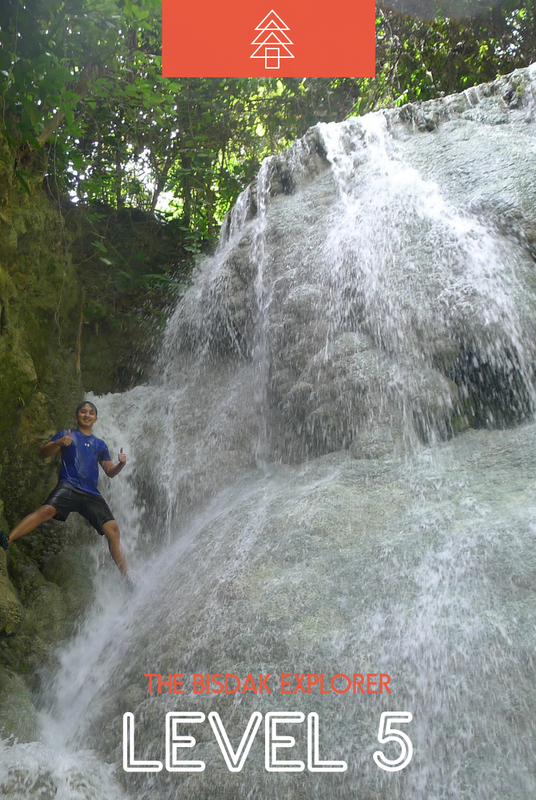 We found this waterfall while searching for San Miguel Falls and a local residing in the area shout out its name. I don't find the water that tempting and it is located near some residential areas. Can easily be reached from the main town through tricycle for less than five minutes. 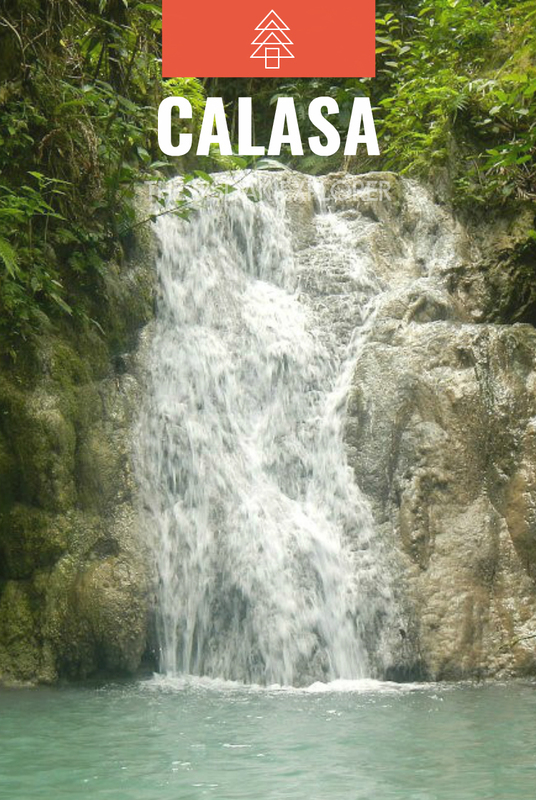 I wouldn't recommend this but it helps in expanding your waterfall count in Samboan. 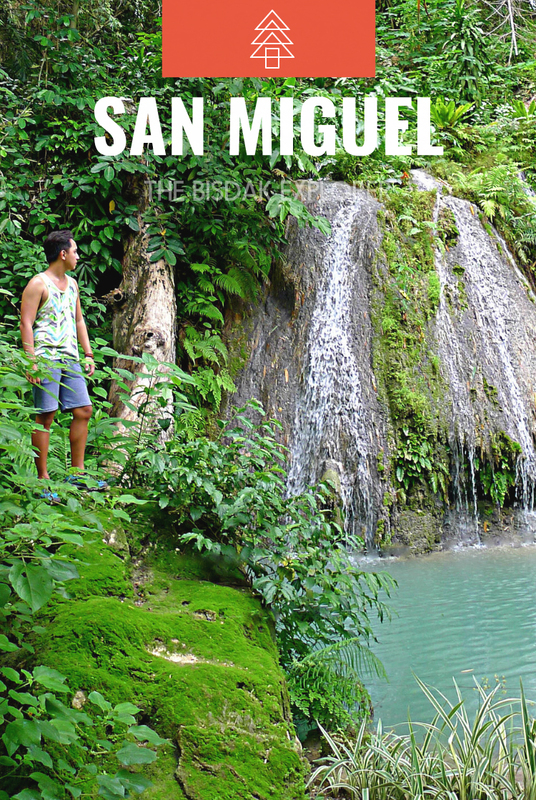 San Miguel Falls was named after the patron saint of the barangay and located just below Marla's Hidden Falls. 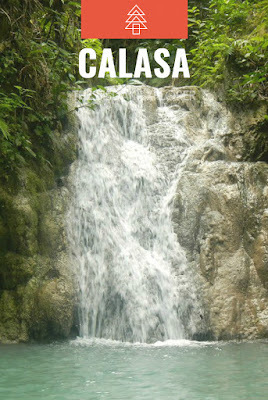 It is a very photogenic waterfall and can easily be reached from the main town. The area around the waterfall undergoes a meticulous artificial landscaping so that explains its picturesque feature and there are even huge koi fish in the water. Swimming here is strictly prohibited. Kanshiahan Falls has so much potential to be the most beautiful waterfall in Samboan if only the local government will allot time and resources to maintain it. The second level shaped like a gigantic tree with waters flowing all over its body and the first level is like an altar stack into one another. Sadly, it's so hard to appreciate it now because for unknown reasons the water source is bypassed and no longer as strong as it used to. 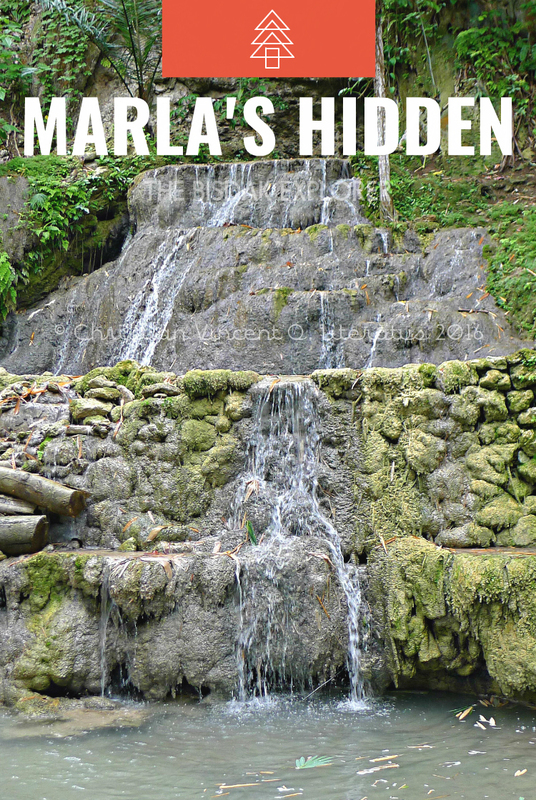 The waterfall is mostly covered by dirt and slime now. We were surely disappointed given the difficult trek we took but I'm still hopeful it will regain its former beauty. 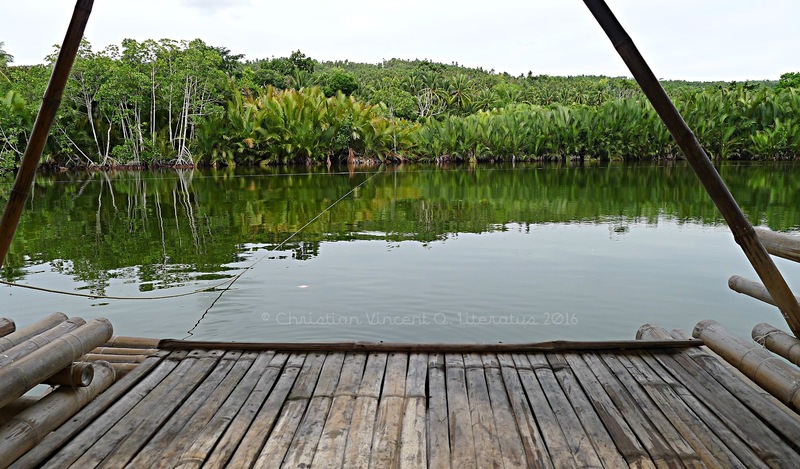 The brackish water of Ponong Lake made it an ideal fish farm for either freshwater or saltwater creatures. This is really close to the shore and a walking distance to where we are staying ( Villa Isabela ). The best part is it's free as of now while they are still developing this spot. I converse to the caretaker and he told me they're planning on building a floating restaurant here in a near future serving the local delicacy and fresh catch in the lake. 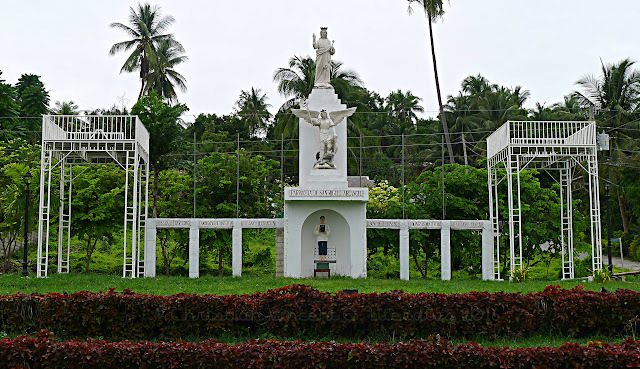 This is a wonderful addition in Samboan because of the absent of a decent restaurant in the municipality. 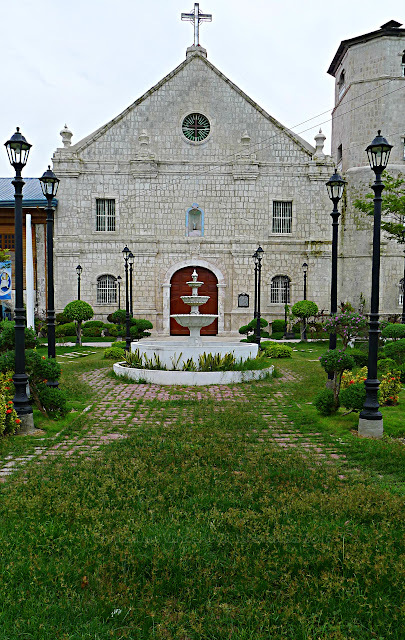 This almost century old church is currently being renovated after that earthquake which devastated Visayas 3 years ago. 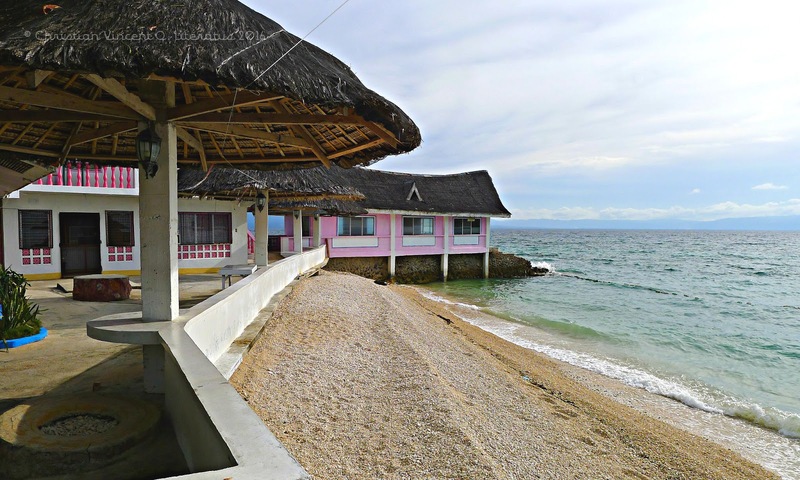 Naturally, I always stay in Villa Isabella whenever I'm in samboan for a beach front accommodation in a decent price. I like the pink concept of their resort and shore is decent enough (mostly shells than sand ). If you're lucky you'll witness an extremely breathtaking sunset scene here like we did in the past. The carefree personality of the caretaker is a breath of fresh air. He always let us extend our stay late in the afternoon without additional charges, given there's not a lot of guests around. Ending your day with a stunning sunset scene and waking up in a refreshing breeze with a relaxing view of the sea will surely make your stay even more rewarding. 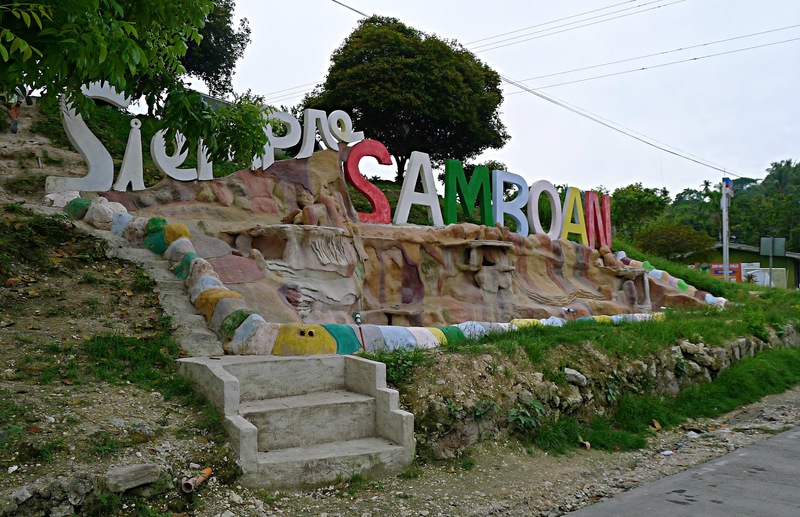 LANDMARK: Look for Samboan Medical Clinic or Ponong Lake signage from the main road before reaching the town center if you're coming from Cebu. 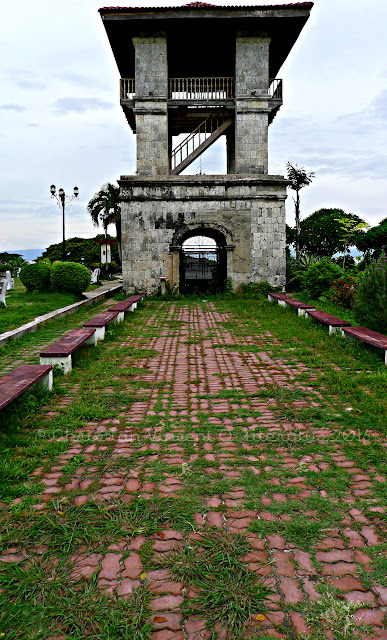 HOW TO GO AROUND IN SAMBOAN? The public transportation in Samboan is usually only via habal-habal (motorcycle) good for solo travelers and trike cabs (motorized tricycle) good for small groups. I highly recommend Francis (trike cab driver) who can be your personal tour guide and driver. He also charge a justifiable price on his trips and well acquainted of all the destinations in Samboan. He only charge us Php 300.00 for a day tour all over the touristy spots in the municipality. DISCLAIMER: I'm not a travel agency which I am mistaken a lot of time so don't bother asking for my rate. I do all these DIY guides for free.